I am glad to introduce you with another my favorite nail art trick i.e. 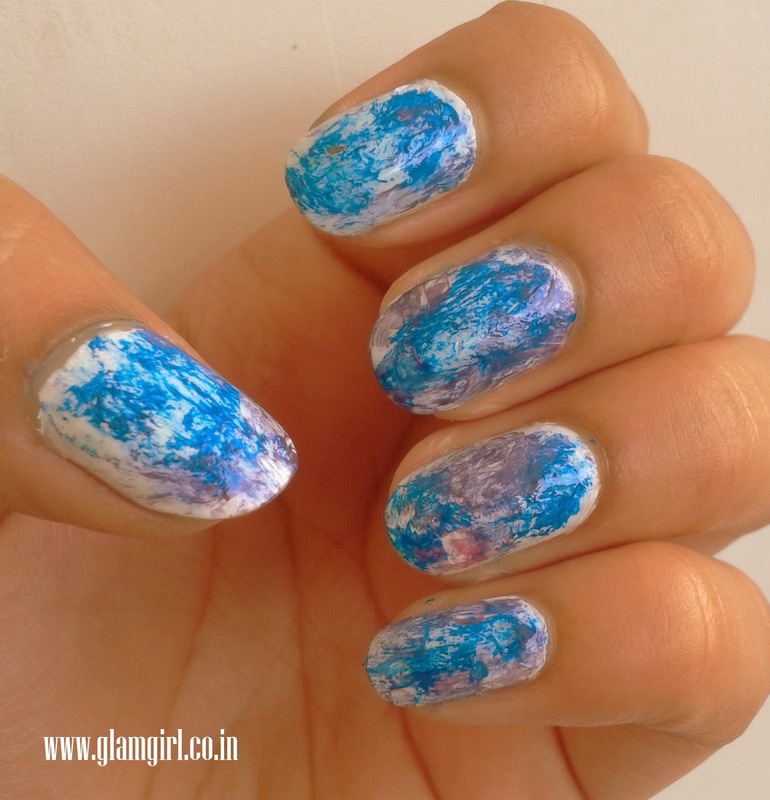 The watercolor nail art style. Step 1: Start with a white base color. 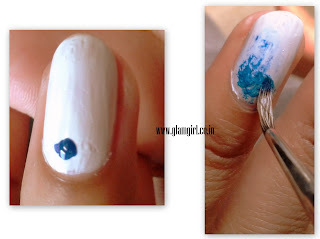 Step 2: Put a drop of blue nail color. Take a brush, dip it in the acetone and spread the blue drop on nail. Repeat the same steps after putting a purple nail drop. You can make it more colorful by adding more colors to it. 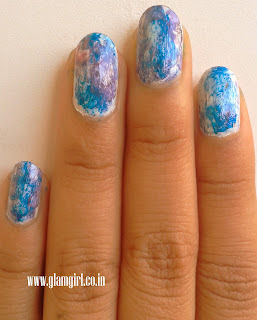 Its fun, You feel like doing water colors, but on nails not on a sheet. Put more color according to your choice, it depends how intense you want the color to be. Step 3: Finish with the top coat.